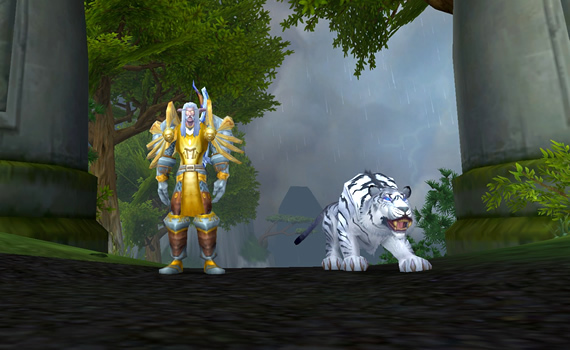 How’s the Hunting in Pandaria? 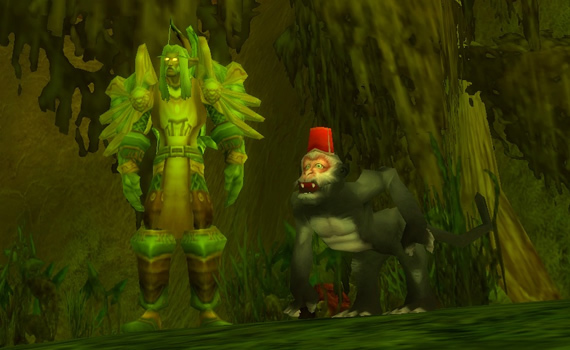 Those of you who’ve been hard at work tracking down the new rare pets…how have you been managing? Have you had good fortune? Are there a few that have been eluding you? Savage was the first rare I went after, mainly because I like this cat’s model, plus Savage is available to tame at level 85. Here’s a link to my post about taming Savage. 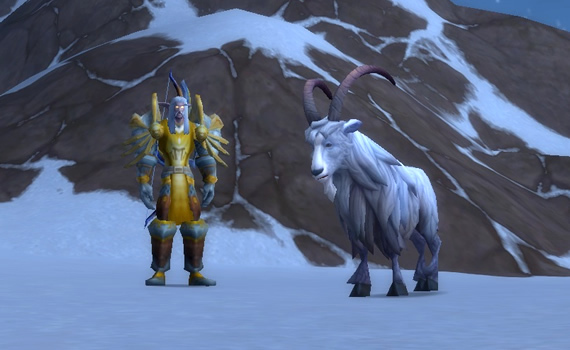 The goat’s cast speed debuff is a nice one to have in your Stampede – mainly for when trying to jam up or dispose of a healer. I thought it would be fun to hunt for Portent just to see which color I would find. The green version is the one I happened upon. I haven’t had a chance to use the Quilen’s special ability yet, but I can see the battle res coming in very handy. 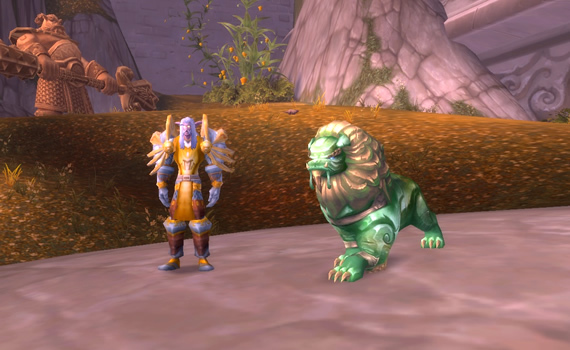 So…which of the new rares have you added to your stable? Which ones are you still after? While doing a bit of leveling last night, I happened upon some Bloody Tracks. Being the pet-crazed hunter that I am, I stopped questing and turned my attention to finding the elusive beast responsible for them. Based on where I found them, I was pretty certain these tracks had been left by Savage, the striped white tiger found in the Jade Forest. I first noticed the Bloody Tracks in the area where the Jade Tigers are located. Today I finally sat down and hammered out a new Spirit Beast Guide. The previous one was ridiculously outdated – having only the four Northrend Spirit Beasts listed, along with information about their really cool Spirit Strike ability.